Discussion in 'Meet ups & Events' started by JimFox, Nov 12, 2017. 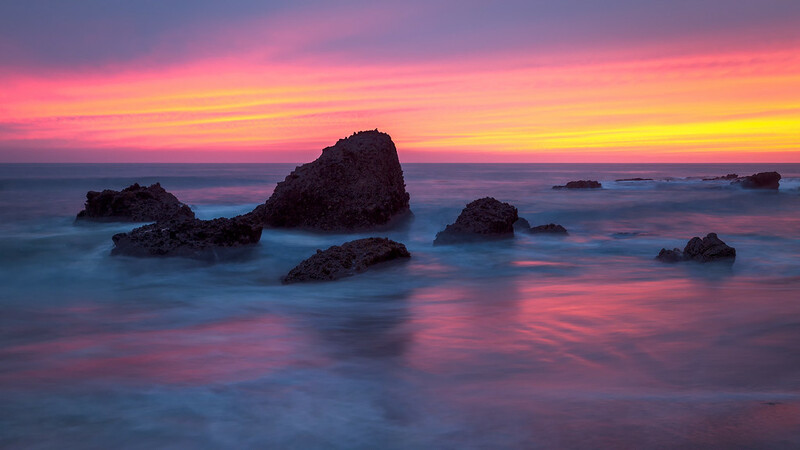 I am heading down to Laguna Beach this afternoon, probably getting there around 4pm since the sunset is at 4:49. It looks to be cloudy, so I am going thinking B&W shots, but hey, you never know. If anyone is interested in meeting up, reply here or text me. I have a great idea, come to Vegas, you can stay in our extra room & help me with the finger! I'm in Mission Viejo, as the crow flies only 7-8 miles from Laguna Beach. It's been cloudy and very much like "May grey / June Gloom" all day today. Not sure I can escape today, have some errands to do with the wife but will see what I can do. Ha ha, now that's an idea! Cleared things with the boss, so I'm in. Hopefully you can make it, just let me know I know the sky may not be the greatest, but I plan to focus more on the water and not include much of the sky. I am looking to check out an area with a higher tide then I normally shot, I am thinking it could lead to some more intriguing water pour offs. For reference I plan on going down to Pearl Street. Awesome! So lets meet about 4 at Pearl Street. We will have to go down a back way to the beach with the higher tide, but Pearl Street is a good meet up point. Sounds good. I'll plan to get there a bit early as I've not been to that part of LB before. so...where are those Woods Cove "blow hole" pics at? I wasn't going for the blow hole as I knew the tide would be too high. I was going to catch some different water pour offs. I did have a great time meeting John and shooting with him. Had a great time last night, completely blown away by the colors we saw! Photos are currently being edited, should have some to share later this evening. My first (but definitely not my my last) from last evening. Nice. you got some great reflections going.